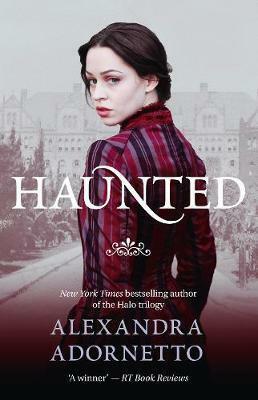 FROM INTERNATIONALLY BESTSELLING AUTHOR ALEXANDRA ADORNETTO COMES THE POWERFUL CONCLUSION TO GHOST HOUSE In the sequel to the page-turning Ghost House, Alexander Reade turns up at Sycamore High not remembering how he got there. But worse, he doesn't remember Chloe Kennedy and believes he has come back to search for his lost love Isobel. Chloe soon realizes that Alex needs her help surviving in the modern world. With his looks and the way he speaks, it's as though he's from another century. Which he is. In fact Alex has been dead for 157 years, but that doesn't change how Chloe feels about him. Chloe begins to experiences dreams that take her to a past life and realizes they are linked to Isobel. But when Isobel appears, Alex and Chloe must accept that the past and the present have collided. Chloe is being hunted by Isobel, who is just as vengeful as ever and out to destroy any bond between Alex and Chloe. And she will do so - no matter the cost. Alexandra Adornetto was born in Melbourne and for a number of years lived in Los Angeles with her mini Yorkie, Boo Radley. As well as writing YA novels, Alexandra is also developing screenplays and acting. Her first series, The Strangest Adventures, was published when Alexandra was fifteen. The YA series Halo marked her international debut with publication in over 25 countries and the first title appearing at No. 4 on the New York Times Bestseller List.